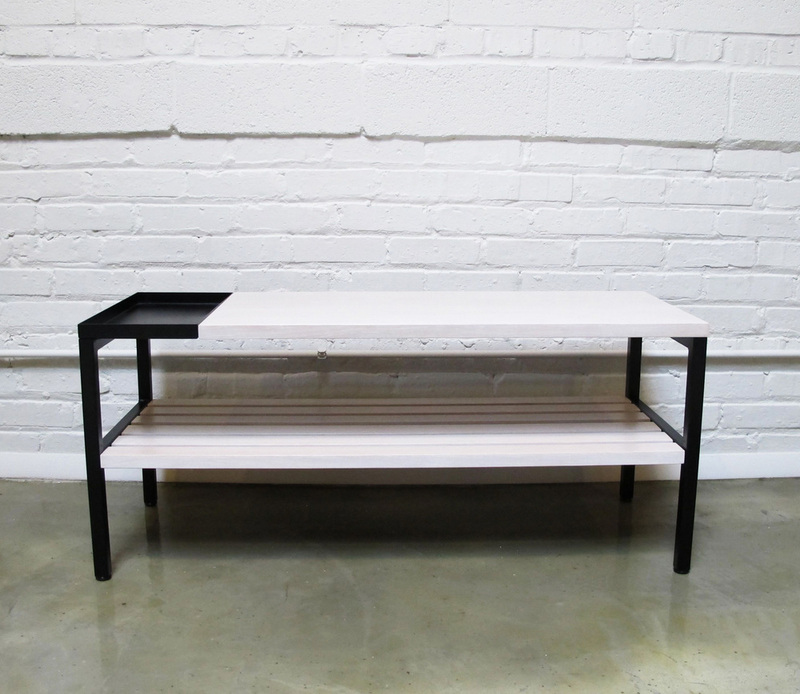 The Bunker Bench won honorable mention in Fab's First Things First design competition. It was featured in the First Things First Exhibit at Fab's pop up store location in Soho during NYC x Design Week. 2014. Like a good first impression, the entryway is one of the most important rooms in a home because it is the first room to welcome you in and sets the tone for everything that follows. The Bunker Bench is where, after a long day at work or a busy day running around, you can take a seat, finally kick off your shoes and take a moment to relax because you are home. It also incorporates shoe storage and a small tray to keep all your small accessories (keys, phone, wallet) organized so that when you're running back out the door, you'll know exactly where everything is.